Things are rapidly changing in today’s EDI world. As a consequence, every trading partner is trying their best to stay up to date with increased technology demands. This means that trading partners are constantly demanding suppliers like you to make changes to your EDI or your general process. Feeling stressed? Here are four tips that will improve your compliance ratings and help you avoid unnecessary chargebacks. Trading partners are always trying to stay ahead of the game by introducing new software and new compliance programs that promise fast and hassle-free EDI transactions. EDI is the future of the retail industry and it’s here to stay. Compliance rules are the new retail reality. Guess what? These days, almost all trading partners grade their suppliers based on compliance. If you are not keeping up with the constantly shifting changes, you’re likely to see negative results on your scorecard. Those results will damage your business with the trading partner. On the other hand, if you are a supplier with A+ rating, you are sure to enjoy an improved relationship with your trading partners. If you are continually delivering error-free EDI transactions to your trading partners, you’ll receive the special treatment you deserve. Avoid chargebacks. Seriously. Chargebacks can (and will) cost you thousands of dollars per year… and you can avoid most of those fines if you just take care of your EDI errors. Pro-actively avoid chargebacks by staying up to date with your trading partners’ changes and compliance requirements. These four tips will improve your compliance ratings and help you avoid unnecessary chargebacks. 1. Stay tuned. Sign up for e-mail notifications for EDI and process changes. Whenever a trading partner makes changes to EDI or business processes, they will send out a mass e-mail outlining all the changes and deadlines. It is very important that you follow those guidelines and meet the deadlines. Review vendor guidelines often to equip your team with knowledge of their business and EDI requirements. 2. Educate yourself. Review your scorecard on a regular basis. If you don’t understand a certain scoring factor, check with your trading partner. Attend your trading partners’ webinars and other educational events to stay on top of business and EDI changes. 3. Every day is same the day. 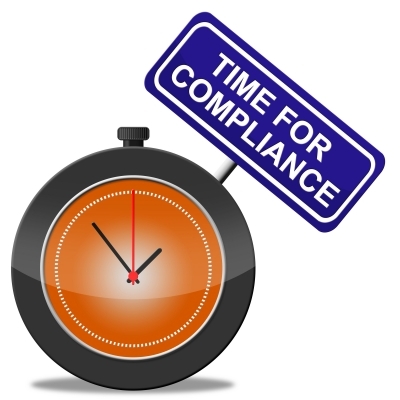 All trading partners have compliance checks, which is what they use to create your compliance scorecard. From placing labels at the correct angle to sending error-free ASNs and invoices, each time you do something right, make sure that it happens every time from then on (or until the rules change again). 4. Get help. If you receive an e-mail notification from a trading partner about upcoming EDI changes and you don’t understand what the changes are, you can always forward them to the MAPADOC Help Desk. Your MAPADOC consultant is always happy to explain confusing changes, and he or she can even contact the trading partner to find out additional information for you. If you regularly send all new communication for upcoming changes to the MAPADOC Help Desk, those changes can be reviewed and added to your system fast. Please note that we have also added new robust reports and features in MAPADOC that help you reconcile your EDI transactions and avoid sending error-filled transactions.